On April 19, 2012, the Koppers Superfund Litigation Team held a meeting with Class members to discuss the upcoming filing of the Class Action lawsuit. Despite its short notice, the meeting was well attended and very informative. For members who were unable to attend, a brief introduction to the lead Class attorneys and answers to some questions members asked that apply to all Class members are provided below. Stephen Murakami is the lead coordinator and point of contact for the Koppers Superfund Site Class. If you have any questions that are not addressed here, please email Mr. Murakami at smurakami@nyc.rr.com or call him at 516-398-7776. The Koppers Superfund Site Litigation Team was selected by members of Stephen Foster Neighborhood Protection Group and endorsed by Stephen Foster Neighborhood Association, Incorporated to defend resident’s rights regarding health, property values and environmental justice. These attorneys and firms were chosen based on successful litigation experience in the areas of Mass Tort Litigation and Toxic Exposure against giant corporate polluters such as the Monsanto Chemical Company, as well as the successful handling of cases including Chinese Manufactured Drywall Product Liability and the representation of hundreds of WTC rescue and recovery workers in the September 11th Victims Compensation Fund (VCF). Senior Attorney Stuart Calwell, a founder of The Calwell Practice, has experience with a wide variety of toxic injuries and toxic chemical contamination situations. The Calwell Practice specializes in helping people get relief when their ground water and/or well water has been contaminated with dioxins, furans, TCE, PCE, and other volatile organic compounds (VOC’s); or when their home and property has been contaminated with arsenic, dioxins, furans, and other hazardous chemicals; or when the air in their community has become contaminated with hazardous chemicals and particulate matter. Mr. Calwell’s writings include “How to Handle a Dioxin Case,” Mathew Bender Guide to Toxic Torts, 1988; and “Exposure to Toxic Chemicals-An Unfamiliar Risk in the Railroad Workplace,” Journal of the Brotherhood of Maintenance of Way Employees, Vol. 95, No. 2, 1986. Mr. Calwell’s practice areas include Asbestos Litigation, Environmental Law, Toxic Torts, Personal Injury, Medical Malpractice, and Labor Law. Peter J. Cambs of Parker Waichman LLP, Former Assistant District Attorney, Bronx, New York; He has tried in excess of 125 cases to verdict. Member: Trial Team Member for Chinese Manufactured Drywall Product Liability Multi-District Litigation No. 2047. Areas of Practice: Mass Torts; Toxic Torts; Defective Medical Devices and Pharmaceutical Liability; Personal Injury Litigation and Wrongful Death Claims; Medical Malpractice and Product Liability claims. William J. Dubanevich of Parker Waichman LLP has represented municipal water districts and private individuals throughout New York, New England and Florida in ground water contamination cases related to the release of petroleum products containing the additive MTBE, creosote, arsenic and other hazardous chemicals. He facilitated the recovery of tens of millions of dollars on behalf of plaintiffs damaged by environmental contamination. Mr. Dubanevich represented hundreds of WTC rescue and recovery workers in the September 11th Victims Compensation Fund (VCF) and worked extensively in the World Trade Center litigation. Practice Areas: Mass Torts, Environmental Litigation, Toxic Torts, Defective Drug Liability, Products Liability, Class Actions, Complex Litigation, Labor Law and Negligence Litigation. Stephen Murakami, founder of Murakami Law Firm, LLC. Practice Areas: Mass Tort Litigation, Complex Litigation, Pharmaceutical Litigation, Tobacco Litigation, Mesothelioma/Asbestos Exposure Litigation, Consumer Fraud, Securities Litigation & Arbitration. Mr. Murakami is the lead coordinator and point of contact for the Koppers Superfund Site Class: smurakami@nyc.rr.com or 516-398-7776. Inform whomever that you are represented by counsel on all such matters and that your attorney’s name is: Stephen David Murakami, Esq., whose number is: (516) 398-7776. Take any Authorization form or letter and send it to Mr. Murakami by fax: (646) 417-5599 or by email attachment: smurakami@nyc.rr.com. The attorneys need to review this so they can understand exactly who is asking for such permission and whom they can call to make further inquiry in order to advise you to permit access or otherwise decline to participate. If you are contacted by telephone, take the name and telephone number of the person calling you and send this information to Mr. Murakami by fax or email. If you’ve already given permission for sampling, participated in a survey or study, or completed any questionnaire, send a copy of the Authorization form you signed. If at all possible, take photos or a video recording of the sampling/polling person or team. Note the name of the company and person asking to collect the sample(s) or data. You have every right to do this on your own property and if they object, advise them that your permission is withdrawn. Send your photos, video or audio recording to Stephen Murakami, or be sure to keep the recording until such time that you are able to forward this to the attorneys. The attorneys will try to get back to you as soon as possible with a recommendation one way or another. If you have not signed a Retainer Agreement, call or email Mr. Murakami and request a Retainer Agreement in order to retain the Class Action attorneys & firms. Include your name, address and telephone number where you can be contacted. The Floridan Aquifer Needs Our Help! We are all affected, and your action does make a difference! 19.2 million Florida residents depend on this aquifer for their drinking water. 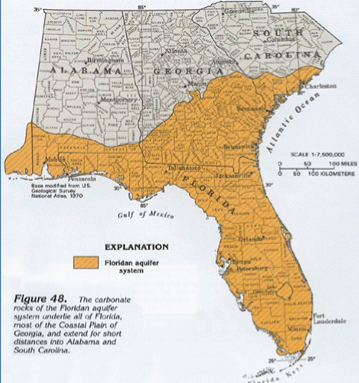 The Floridan aquifer system is one of the most productive aquifers in the world. Test results in 2003 confirmed that the Floridan Aquifer, the source of drinking water for all of Florida, southern Alabama, southeastern Georgia, and southern South Carolina, is being contaminated with cancer-causing toxins from the Cabot-Koppers Superfund Site. Gainesville Regional Utilities (GRU) does not test our water supply for Cabot-Koppers contaminants (dioxin, arsenic, benzene, naphthalene…). The polluter and responsible party, Beazer East, does the testing for these toxins. In 2008 the Site became a beta test site for Remox/ISBS, a heavy metal-laden chemical cocktail that is illegal for injection within city limits or near municipal water supplies. The variance for this was granted without the legally mandated notification to Gainesville residents. Our County Commission got it right in April 2011 when they stepped up and admitted that we are not receiving a cleanup and that they need to do more to protect the Floridan Aquifer. GRU’s preferred remedy is to remove the bulk of the onsite contamination which lies 35 feet below the surface. The Beazer East/EPA cleanup plan for the Superfund Site leaves the contamination in place, allowing it to continue to migrate further down into our aquifer. Their plan only calls for additional monitoring wells and for slurry walls and caps that offer no bottom retention of the contamination. Due to the inadequacies of the cleanup plan, the Alachua County Commission sent two letters to President Obama late last year asking for his help to expedite the permanent relocation of affected residents and the protection of the municipal water supply. County officials have repeatedly stated that they need everyone’s involvement to protect our aquifer. Take Action- Together We Can Make A Difference! Tell Obama to enforce a real cleanup of the Cabot-Koppers Superfund Site in Gainesville, Florida to end its chemical contamination of the Floridan Aquifer. Ask him to expedite the overdue permanent relocation of residents impacted by Cabot-Koppers Superfund Site dioxin contamination inside of their homes. Demand clean drinking water for the over 20 million people who use the Floridan Aquifer as our primary water source. Don’t let your peckers touch the ground! 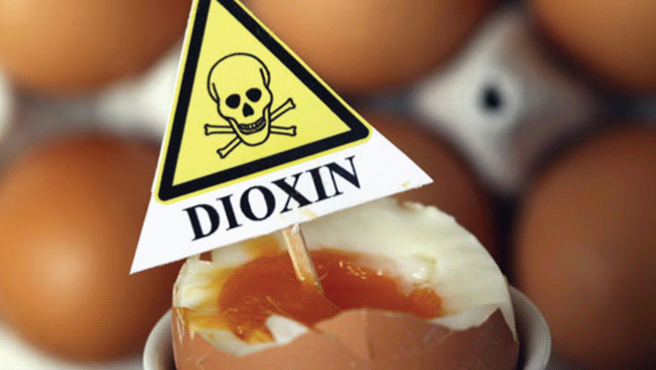 In 2011 ATSDR and FL DOH released notification that dioxins were found in the eggs of free range chickens in our neighborhoods. Residents keeping chickens were advised to keep their birds off of the ground in coops. Superfund Site Communities with dioxin contamination commonly receive this warning from federal and state agencies.